When it comes to finding the right stuff to prepare authentic Mexican cuisine, the Mission is our oyster. No reason to go on-line or scour the city for items that in many other places, are unavailable. No need for us lucky San Franciscans to substitute when following recipes. Here are five items that you can grab to make sure your sabores (flavors) are Mexicana! Mexican vs. “Persian” limes: Did you know that what we often refer to as “key limes” are actually Mexican limes? Not simply the limes used for making the pies, or limes that grow only in the Florida Keys (actually primarily grown in the state of Sonora, Mexico and shipped to Florida) the key lime is a (Citrus aurantifolia Swingle) is in a class all of its own. “Much smaller than regular “Persian” limes, the key lime ranges in size from a ping-pong ball to a golf ball (about 10cm to16cm in circumference).The peel is thin, smooth and greenish-yellow when ripe. The interior is divided by 10 to 12 segments, quite juicy and has a higher acidity than regular Persian limes. 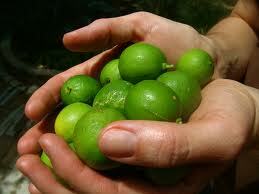 Key limes have a very distinctive aroma, which makes them valuable for culinary use,” this according to keylime.com. They are yellow when ripe but usually picked green, commercially. Aside from its many uses in Mexican cooking, from Agua de Limon (see recipe for Agua de Melon and substitute fresh-squeezed lime juice) to its use in marinades and dressings (most Mexican salads are served with a squeeze of this fruit rather than oil and vinegar), its size has an important advantage: quartered it fits perfectly through the small opening in the neck of your bottle of Corona! Oh, and let’s not forget, without the limon there would be no margarita! The best tool for squeezing every last delicious gota (drop) is cast iron lime press (see Of chiquihuites, comals and cazuelas). This link to Epinions.com has excellent directions on how to use one properly. Lucky us, these are available at Casa Lucas on 24th between Alabama and Florida. Mexican vs. Mediterranean oregano: Oregano used in Mexico has a much stronger flavor than the more common Italian and Greek oreganos we usually use, as well as a subtle sweetness but is still so similar to traditional oregano that it is a good substitute for Mediterranean oreganos as long as it is added at about half the amount called. 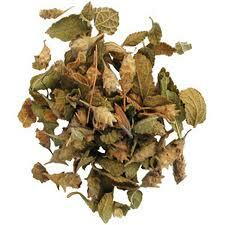 Note: avoid any oregano that is not made from whole leaves, as the ground variety tends to have a musty flavor. Easily found in Casa Lucas, Chico’s Produce, even in FoodsCo on Folsom and 14th (a great source for Mexican herbs and spices) in plastic envelopes for $.99. Mexican vs. traditional chocolate: Anyone who has ordered it at Mitchell’s Ice Cream Parlor on San Jose Ave. just below 29th St. knows that Mexican Chocolate has a unique taste. It’s texture is quite different from any baking or cooking chocolate found in a typical American pantry; the sugar is more grainy and the chocolate is quite sweet. It is a blend of cacoa paste, Mexican brown sugar (see below), hence the coarser texture, and cinnamon which results in the signature Mexican chocolate flavor. 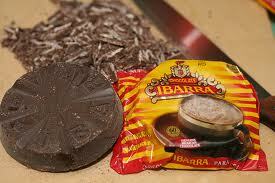 Local markets typically carry Abuelita and Ibarra brands. For more on how to use to make an amazing, authentic Mexican Hot Chocolate, see: Indulge yourself in a truly ancient beverage: Mexican hot chocolate. Piloncillo vs. brown sugar: Called piloncillo (little loaf) because of the traditional shape in which this smoky, caramely and earthy sugar is produced; it has far more flavor than brown sugar, which is generally just white sugar with a small amount of molasses added back to it. 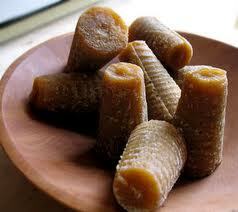 Just like brown sugar, there are two varieties of piloncillo; one is lighter (blanco) and one darker (oscuro). Unrefined, it is commonly used in Mexico, where it has been around for at least 500 years. Made from crushed sugar cane, the juice is collected, boiled and poured into molds, where it hardens into blocks. To use it, pound with a meat hammer while its still in its plastic baggie. Sold in the aforementioned markets by the pound (about $1/lb). It can be used in moles and other sauces, as well as to simply sweeten coffee or top off a baked sweet potato, mixed with a little fresh-squeezed lime (Mexican, of course) and orange juices (add butter, cinnamon, ground cloves; bring all ingredients to boil and reduce to a syrupy texture). Mexican (white) vs. yellow or dark green zucchini: this pale-green zucchini found in Mexican markets in a size (and shape) somewhere between a tennis and golf ball have a firm texture and sweet flavor. Squash is integral to the Mexican diet and seeds have been found in Mexican caves that date to 9000 B.C. according to Epicueous.com, which has an excellent article with instructions for washing and preparing: Although we think of zucchini as a vegetable, botanically, zucchini is an immature fruit, being the swollen ovary of the female zucchini flower. For just a very short period the squash blossom, which is the true culinary treasure of the zucchini plant, is available at farmers markets in San Francisco (usually in late April-May). Make amazing quesadillas using these (remove stamens with tweezers, dredge in seasoned flour mixture, then well-beaten egg batter with extra white and deep-fry- much like preparing chiles rellenos and stuff them inside of waiting hot, deep fried tortillas. They are also delicious filled with panela cheese, see photo, exactly like chiles rellenos). So don’t be shy… get your Mexican cooking game on with these authentic flavors… sabroso! ← Friday night food crawl along 24th St. in the Mission- this week! Hey, I love your blog. Many awesome information you provided here!